The Golden Raspberry Awards (‘The Razzies’) are a satirical awards ceremony held in Hollywood, celebrating the worst of the worst movies of the year. Held on the night before the Academy Awards, the Golden Raspberry Awards are presented in an “intentionally tacky ceremony”. Since being established in 1980 by John Wilson, the Razzies have mocked the typical Hollywood awards ceremonies. This year, iQuanti, a digital marketing agency specializing in digital data and analytics, predicted which films, actors and actresses would win themselves a Golden Raspberry for having the worst performances of the year. iQuanti based the predictions on Google search results – the actors, actresses and films within each category that had the least number of average monthly searches between January 2015 and December 2015 were determined to be the least popular in that category, and therefore predicted to be the most likely to win a Golden Raspberry for worst performance. The predictions were reported on by I4U, a new outlet that specializes in feeding news to the ‘geek mind’. iQuanti predicted that Paul Blart: Mall Cop 2 would win the Razzie for Worst Picture, as it had an average monthly search volume of only 301,000. 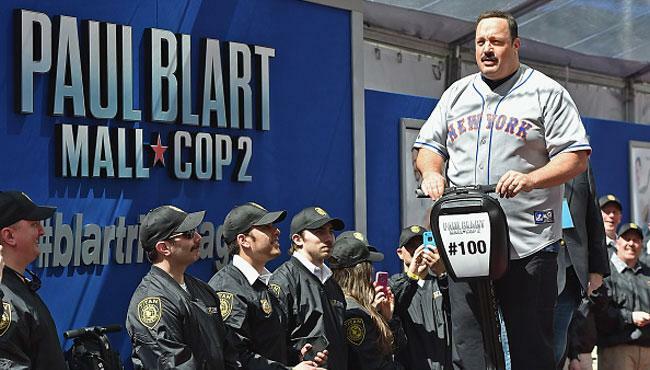 The Worst Actor Razzie was expected to go to Kevin James, for his work in Paul Blart: Mall Cop 2. His average monthly search volume was only 165,000. Worst Actress was expected to go to Katherine Heigl, for her work in Home Sweet Hell. She had an average monthly search volume of 246,000. The full list of iQuanti’s Razzies predictions can be found linked in I4U’s article.